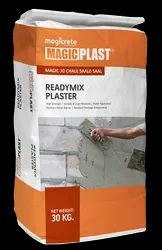 Manufacturer of a wide range of products which include ready mix plaster, ready mix wall plaster, fibre reinforced plaster, durable plaster, crack resistant plaster and water resistant plaster. 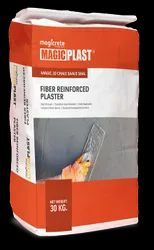 It is a polymer modified premixed cement based internal/external wall plaster. It is convient, easy to use, stronger and binds better to its substrate. It provides an even surface on which tilling can be done faster and efficient. Usage/Application Use after plastering as a base coat for painting a wall. Putty Plus is a modified white cement based wall putty specially developed as s finishing coat to cover the unevenness and pinholes created by plastering and to prepare the wall/surface for painting. 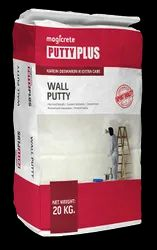 Putty Plus is a modified white cement based putty specillay developed as finishing coat to cover the unevenness and pinholes created by plastering and to prepare the wall/surface for painting. 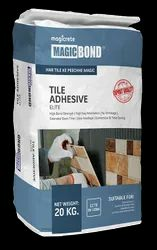 Magicbond Tile Adhesuve is a polymer modified grey/white cement based adhesive for fixing all types of tiles on floor/walls.